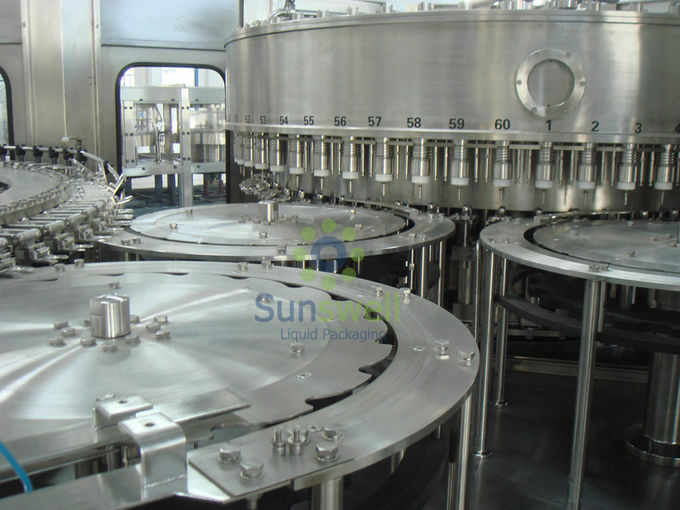 3-in-1 filling monoblock, combined with rinsing, filling and capping. It is innovated and designed in the requirement of still pure water and mineral water, on the bases of introducing, digesting and absorbing advanced technology from Germany and Italy. 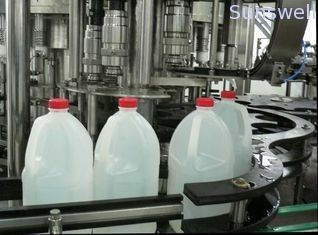 PET bottles with all volumes and shapes for still water, pure water, RO water, mineral water, sparkling water, etc. Made of stainless steel of superior quality. Equipped with bottle jam protection device. 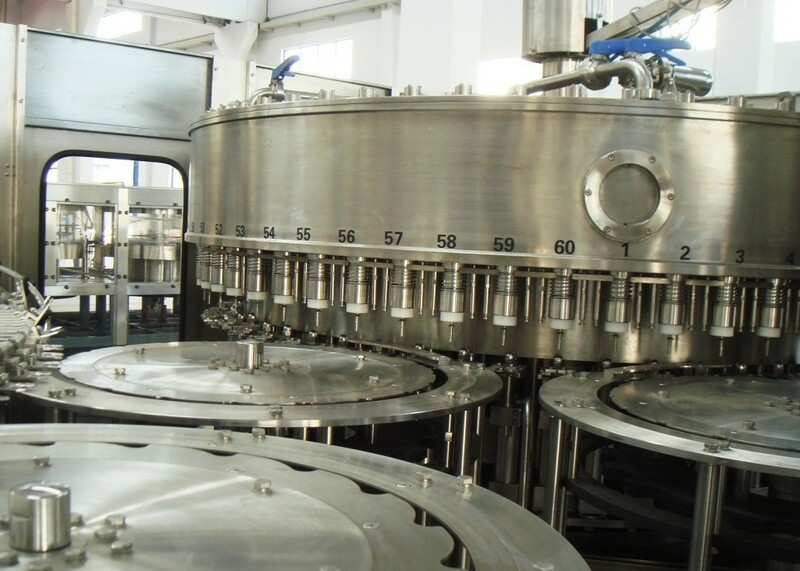 The design of filling structure is reasonable and hygiene dead angle, the run of equipment is stable, it can control the material from the bottleneck, the control accuracy is within ±2mm (subject to bottle design). 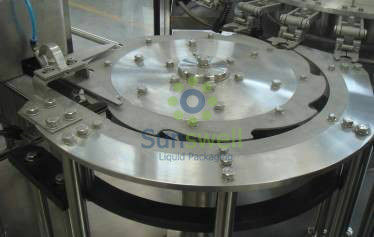 The filling valve material is SUS304. 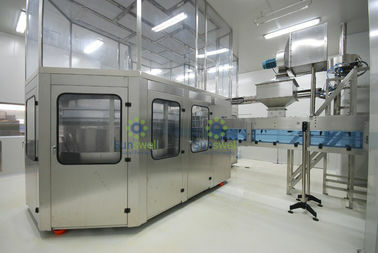 The filling system has liquid level automatic control. 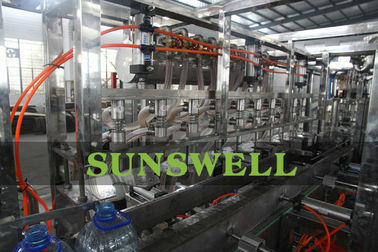 Filling valve lift is controlled by the valve elevator, after filling valve contact the bottleneck, it start to fill. Bottle is conveying by the wheel in the filling part.